Homeopathy literally means “similar suffering”. It is based on the principle “like cures like”; that a similar, but stronger, energetic force can displace a weaker one. It was created/discovered by Samuel Hahnemann in Germany in the 1800’s, who observed the relationship between the curative effects and poisoning symptoms of Cinchona (used to treat malaria). His observations were not new, but he was the first to form these theories into a philosophy of medicine. This treatment modality is used around the world as an effective, gentle, and cost-effective healing modality. 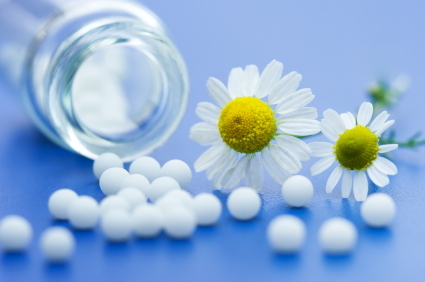 For more information, check out my blog What is homeopathy? and guest post Healing with homeopathy. How were you trained in homeopathy? Naturopathic doctors are trained for 4 years in homeopathy. In addition to my studies at CCNM, I pursued training in classical homeopathy with Joseph Kellerstein DC, ND, FCAH, CCH and Helena Ovens ND, FCAH, CCH. During my clinical year, I completed a four-month externship focused on classical homeopathy and had a clinical rotation on a specialty homeopathy shift. When conducting a homeopathic intake, I will ask you detailed questions and try to learn as much as possible about your nature in order to identify a remedy that will act as a catalyst to stimulate your own innate healing abilities. These questions cover a broad range of topics, such as energy, sleep, appetite, digestion, sensations, your feelings, etc. What can you treat with homeopathy? I do not treat illness, I treat the person who is ill, meaning that I identify the unique pattern present that has led to imbalance and identify the remedy that is most appropriate to stimulate a return to balance. Homeopathy is energetic, rather than physical. By correcting the overriding energetic mistunement, the body is able to direct its attention and energy to correct physical ailments. As such, homeopathy can be used to treat both acute and chronic illness, physical, mental, or emotional symptoms, and patients of any age. I find homeopathy useful in nearly every case I encounter as an adjunct to diet and lifestyle interventions. Is there evidence for the use of homeopathy? There is research evidence regarding homeopathy. Check out my blog Homeopathy research review for more information.